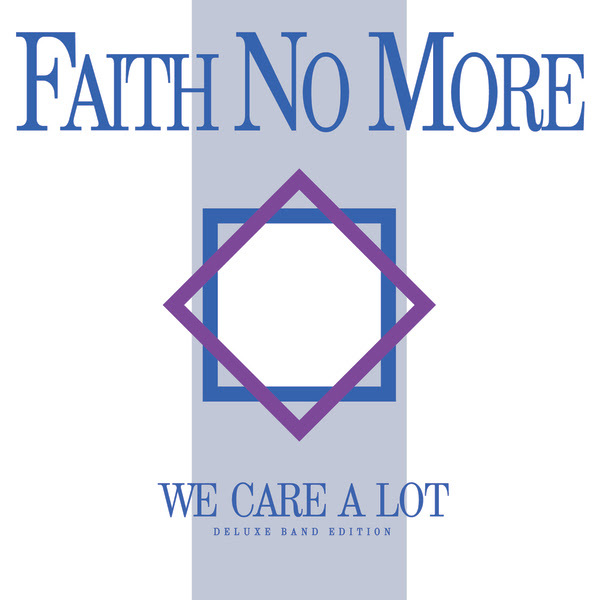 "We Care A Lot", which was initially released in 1985 and has been out of print for 20 years, sees an August 19 reissue via Bill Gould's Koolarrow Records. "This was an album that started as a demo, before any label had any interest in us," explained FAITH NO MORE bass player Bill Gould. "There were a couple of reasons we decided to release this now: first of all, it's been 20 years since it has been commercially available. Secondly, when cleaning out my basement, I discovered the original master reels, and we all thought that resurrecting this from the original tapes would be a great way to reintroduce 'We Care A Lot' into the world. Lastly, this has been a band effort; we are releasing this in the same way as we recorded it, deciding everything amongst ourselves and getting our hands deep into the nuts and bolts… just like we used to." The original 10-song album, remastered by Maor Appelbaum via the original reels Gould alluded to, is enhanced with nine bonus tracks including demo versions (taken from the original 8-track tapes) of "Greed", "Mark Bowen", "Arabian Disco" and "Intro", live versions of "The Jungle" and "New Beginnings" and new mixes, via Matt Wallace, of "We Care A Lot", "Pills For Breakfast" and "As The Worm Turns". Liner notes from keyboard player Roddy Bottum and behind-the-scenes photos will be included with the physical release. "We Care A Lot" arrived in November 1985 via Maximum RocknRoll editor Ruth Schwartz's Mordam Records. The seminal album, boasting the timeless title track, which can still be heard daily on radio stations worldwide, confounded music fans and critics alike. As Pitchfork said in a 2015 article dubbed "The Misunderstanding of Faith No More," the unpredictable and hard-to-define band "had radically altered the parameters of popular music years before the fabled alternative revolution." Rolling Stone called it a "raw punk album" while Select magazine dubbed it "a lustful marriage of mutoid metal and dance floor verve." "When strangers ask what FAITH NO MORE is, I've always said, 'well, it's kind of an art band…' I say that mostly to distance us from the hard rock world that we're often times lumped into. I mean, hard rock, sure, that was part of it, but our roots most definitely and pointedly stem from a specific freakout art time and place in San Francisco, a time that no longer exists. In 1982, the hippies mingled with the punks, the artists hung out with the musicians, the dance people and the punks were one and the Satanists and the sexual pioneers… all part of the same scene," Bottum explains, colorfully setting the scene for the original inspiration for the band and "We Care A Lot". "That weird SF window provided a platform from which we were free to express and cultivate a really uniquely odd sound experience. In Los Angeles, no one really cared much, but SF was always super supportive, encouraging us, directly and not, to get our collective freak on." "We felt like it was time to take the next step," adds drummer Mike Bordin. "We raised as much money as we were able and booked time at Prairie Sun Studios just north of San Francisco. I can't remember how long it took us to record the album, but not a lot, maybe a few days. The songs were sharp from having played most of them at various shows. Very stripped down, basic as could be. The place was on a farm in chicken country (Petaluma). Hard work, but a ton of fun too." 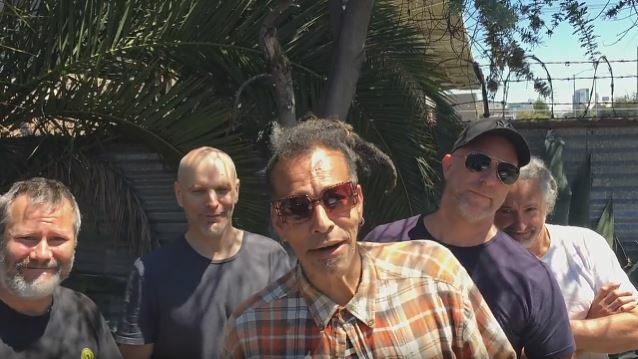 Said Chuck Mosley: "With 'We Care A Lot', I always felt like I was part of something new and different than anything else out there at the time. It made me feel privileged to be a part of it. The other guys were so cool, and there was so much camaraderie. And that came across in the music; Bordin's drums battling it out with Billy's bass in antagonistic harmony, Roddy's melodic atmosphere, swallowed up by Jim's crunchy metal riffs. I found my place somewhere between them all, and when the album was finished, it didn't sound like anything else."